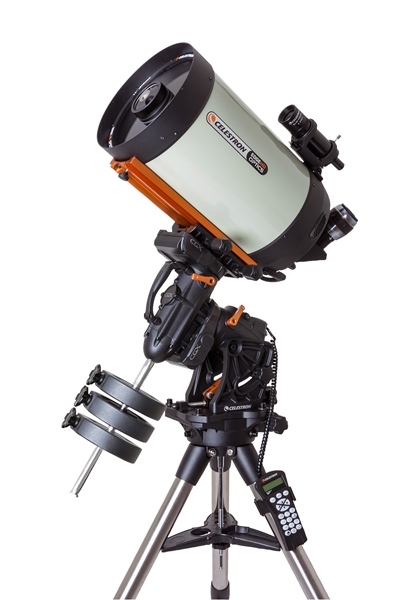 CGX 1100 HD combines Celestron’s all-new state of the art CGX computerized equatorial mount with its acclaimed EdgeHD optical system. With an optical tube assembly weighing only 28 lbs., this telescope is still portable enough to be taken to dark skies, and has 89% more light gathering power than an 8″ telescope and 40% more than the 9.25″. For astrophotography, the CGX mount offers a sturdier, stouter platform, with a smoother, heavy-duty belt drive system, new electronic and ergonomic features that favor worry free remote operation, plus all new advanced software. Be the first to review “CGX 1100 EdgeHD” Click here to cancel reply.